I saw in the Newspaper Hesingbors Dagblad, that Fow News has noticed my little project. It has been written about me in many swedish newspaper, and I even heard it on the radio. Some of the articles. In swedish only. 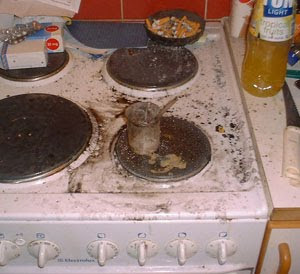 A meltdown on my cooker!!! Of cource I thrown away my pills at the left side, and I didn't drink the juice-syryp in the right. Uranium is the most common fuel in nuclear reactors. Naturaly occuring Uranium consist of about 99,2% U-238 and 0,7% of U-235. It is the U-235 which is intressting. Because it is fissible. Uranium has to be enriched to be used in the most coherences. Under 20% U-235 it is called LEU (Low Enriched Uranium), which is used in the most nucler reactors. HEU stand for High Enriched Uranium, which is used in some atomic-submarines and in nuclear weapons. But in this project we are not going to use U-235. 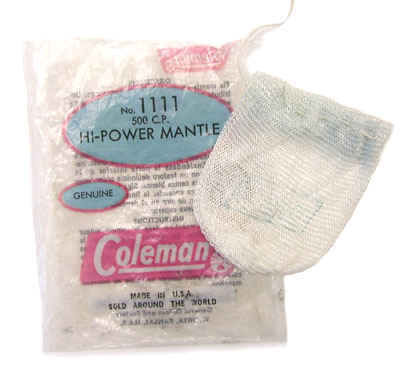 Naturally Uranium (with 0,7% U-235), can be used directly in heavy water-reactors. But we are going our from U-238, depleted Uranium. If a neutron is catched up in the U-238 nuclear, it transmute to U-239 with T½ = 22,3 min, which than decays into Pa-239, and the half-life of that is about 27 days. Then the Protactinium decays to the fissible isotope Plutonium-239. Then the isotope of Uranium, U-233 is fissible, and that is the type we use with the Thorium-project. 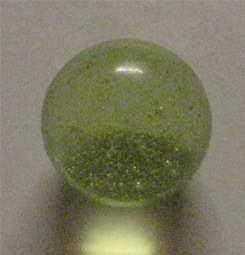 An Uranium glass-marble I have. The green color comes from Uranium. Thoriumoxide in a gas lantern mantle. Thorium is a naturally occuring element, and can be used as fuel in a nuclear breed-reactor. The isotope Th-232 is the most common. It is found as thoriumoxide in gas lantern mantels, or in weld-electrodes, which here in Sweden can be bought at Biltema. When a neutron, from your neutron-gun hits the Th-232, it turns into Th-233, which decays to Pa-233, and then to U-233. U-233 is fissible. Another picture at the mantle. Americium and Radium mixed with Beryllium. To transmute an atom, for example Th-232 to Th-233, we need some neutrons. It is here the α-emitter come into the picture. To get neutrons, just mix the α-emitter with Aluminum or Beryllium. Beryllium is the best, but it is pretty toxic, and Aluminum is easier to get. As you see, it's more effective when the energy is in the middle. Neutrons can be hard to control, Because Lead or concrete won't stop it. But some other materials do, such as Cadmium, Boron, paraffin or graphite. A neutron-gun. 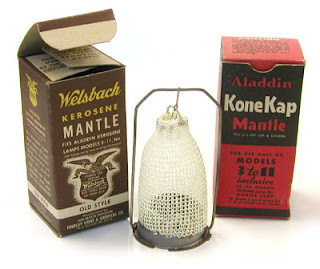 An old medicin-can, with a glass-pipe in the middle. Covered around with Lead. Radium is much more effective than Americium. Radium was used into around 1950, in clocks and watches, then it was withdrawn because it was too dangerous. The isotope Ra-226, an α-emitter, with a half-life of 1 599 years. It is hightly toxic and decays into Radon. It was used to paint fingers and faces on the clocks, to get it self-lightning. But there are many clocks still. I bought a lot of clock-fingers on eBay. It's not so expensive, about $ 12 for 5 pieces. 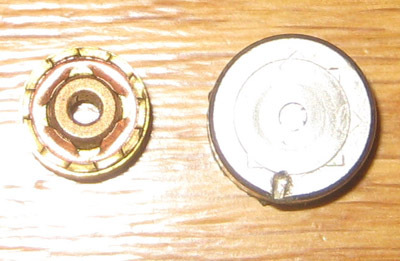 Americium from smoke-detectors, of course not the whole piece is Americium. The easiest way to get some radioactive material to start with, is to take apart smoke-detectors. Smoke-detectors is now more replaced with the optical variant, but in the ionizing type there is a small amount of Americium (Am-241), an α-emitter with a half-life of 432 years. 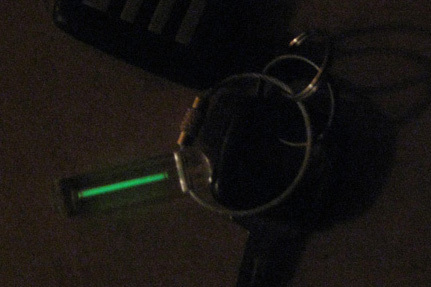 This glowing keychain is an ampoule filled with Trithium, radioactive Hydrogen. It has nothing to do with the main reactor. But it is funny to know, that Trithium is one of the main component in hydrogen-bombs. Regular Hydrogen (H) nuclear, consists only of a proton, then there are heavy Hydrogen, Deuterium (D), that consists of a proton and a neutron, and there is Trithium (T), which consists of one proton and two neutrons. It emitts β-radiation and have a T½ of 12,32 years. In fusion-bombs (hydrogen-bombs), Trithium is fusioned with Deuterium, and releases a high amount of energy. Also there is a big research to develope fusion-reactors. But due the nuclear accident in Fukushima, Japan, the company has gain too many orders, so it would take time to get one. 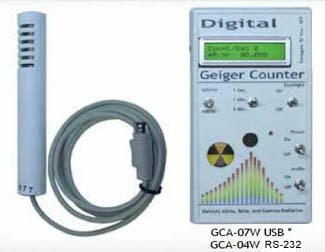 Once I borrowed a very, very expensive geiger-counter from a hospital. It was very accurate, but it costed about $ 12 000. Radiation can be measured in many ways. Here is a simple explanation of the different units. One decay per second is 1 Bq, it is the standard unit for decaying. Curie is an older unit. 1 Ci is 3,7 x 10^10 Bq, which be equivalent to the decay of 1 gram of Radium. Coulomb per kilo. Coulomb is a measure of electrical charge. 1 coulomb is the charge of by one second passes a conductor with the current of 1 ampere. 1 Gy is one joule per kilo. One joule is equivalent to move one coulomb, one meter with one volt. Rad is an older unit, 1 rad is 0,01 Gy. Rem is an older unit, 1 rem is equivalent ro 0,01 Sv. U-233 has a T½ of 1 590 000 years, and is fissionable. Pu-239 has a T½ of 24 110 years, and is fissionable. Th = Thorium, a naturally occuring element, atomic-number 90, and it is a weak α-emitter (the Th-232). Pa = Protactinium, atomic-number 91. U = Uranium, is also a naturally occuring element. Atomic-number 92. The most common isotope is U-238, wich is a weak α-emitter. 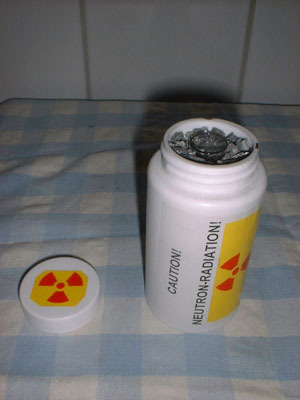 Pu = Plutonium, atomic-number 94, the isotope Pu-239 is fissionable, and extremly poisonous. With fissionable isotopes, you can also build nuclear weapons. But that needs huge amounts of the material, 6 kg of Pu-239 or 50 kg of U-235. In this experiment, we only will be able to produce less than a gram. T½ stands for half-life. Every radioactive isotope has a half-life, and with thats means the time it takes for half of the atoms in the piece to decomposition to another isotope, with emitting their radiation. It can be between nanoseconds to billions of years. α-radiation, contanis of 2 protons and 2 neutrons, it reaches some centimeters in air, and does not penetrate the skin. But it is very dangerous to ingest or inhale it! An α-decaying atom loses 2 in atomic-number, and 4 in total mass. 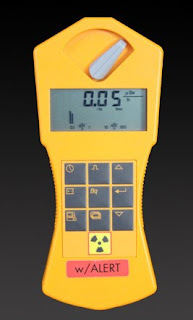 β-radiation endures of electrons and reaches some meters in air or is stopped by a glass or plate. A β-dacaying atom raises the atomic-number with 1, but the total mass is unchanged (a neutron is transforming into a proton). γ-radiation is high-frequency electromagnetic radiation (photons), it reaches several meters but can be stopped by a thick concrete wall. 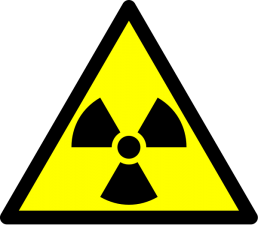 γ-radiation occurs more or less in every decays.